Experiential campaign created by the Conran Design Group explores the impact of design through six 'themed' lifts. 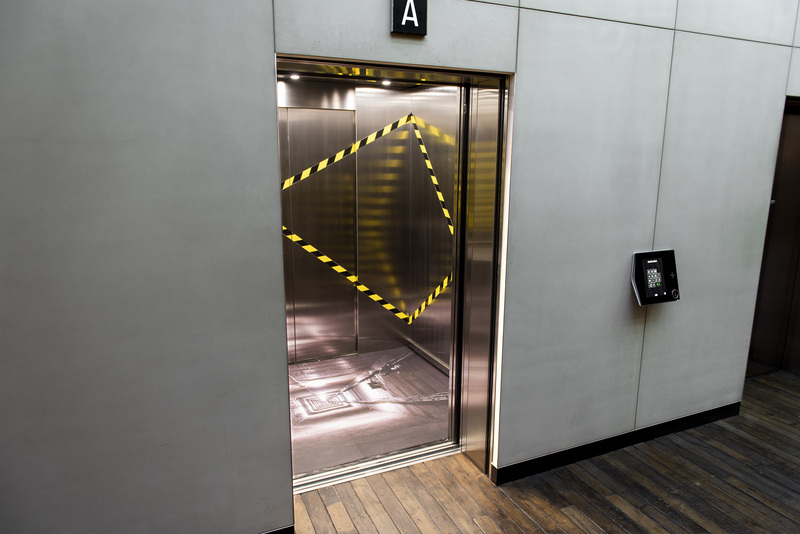 Lifts aren't usually the most inspiring or eventful of places - for most, they're simply a means of getting from A to B (and studiously avoiding eye contact with anyone else sharing the space). 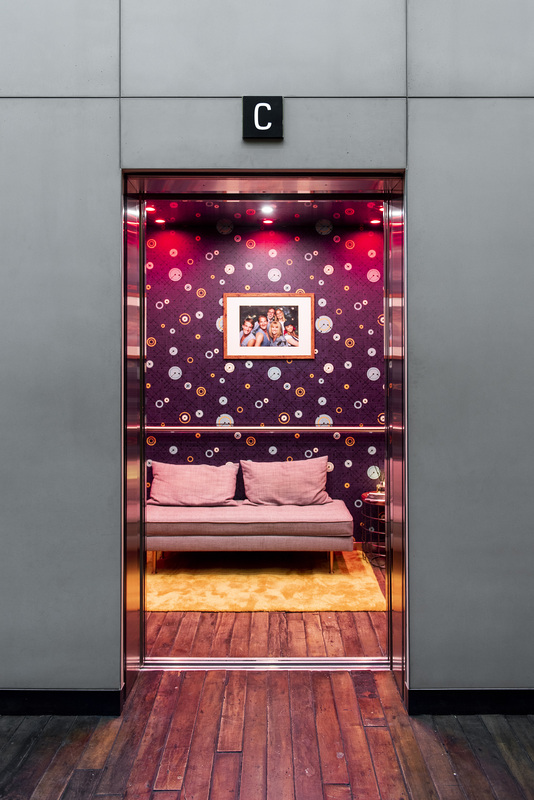 But for employees based at the Havas HKX Village in King’s Cross, London, elevator journeys just got a little more interesting, thanks to Conran Design Group. 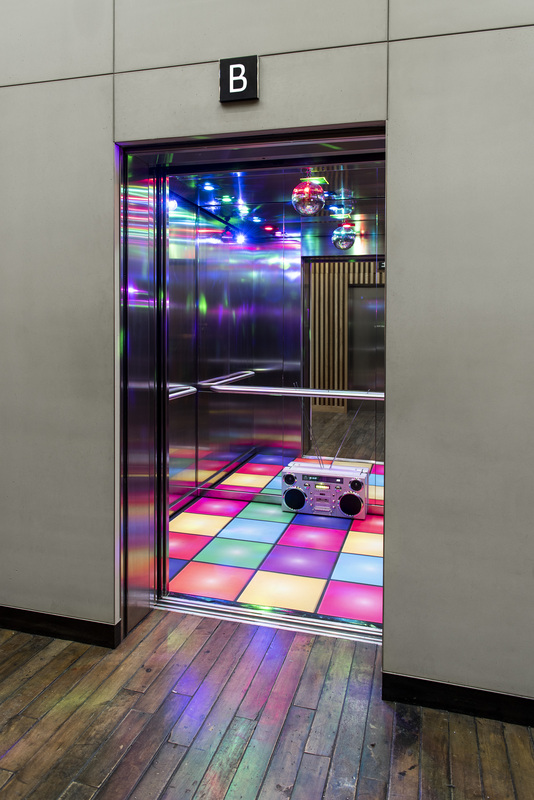 As part of an experiential campaign, the brand design agency has pimped six lifts in the building, transforming uninspiring metal boxes into everything from a cosy front room to a '70s disco. Exploring how design can influence behaviour and perception, the creative themes (one in each lift) are designed to evoke an "emotional response" in people as they enter the lifts and go to their designated floors. So, Fear - which features a 'no floor' vinyl base that makes it look like you're falling down the lift shaft - will probably get your heart racing and adrenaline levels spiking faster than a cup of coffee, while Quiet, which is covered in sound proofing foam and dimly lit, will offer a sanctuary for stressed-out souls. For those heading out on the town, Disco (70s vibes, complete with mirror ball, a boombox and flashing disco lights) is the ideal setting to get the party started. But if you're heading back to crash on the sofa and binge on Netflix, the scented, comfy environs of Home's sofa, cushions and side light, might tempt you to linger in the office a little longer. Opinionated sort? 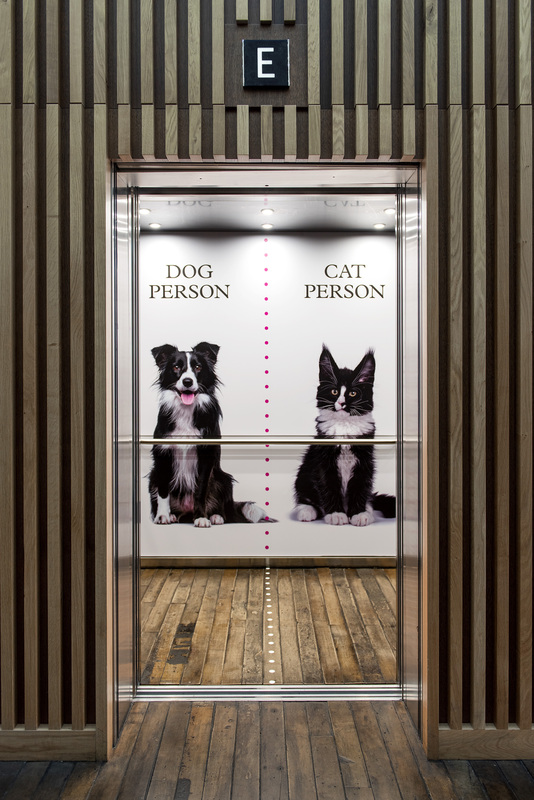 You'll love Cat and Dog, where the age-old argument comes to life with a divisive poster asking people to pick a side in the lift. Our favourite, though, has to be Welcome, featuring an authentically dressed bellhop in the Grand Budapest Hotel tradition who greets you on your way into to work in the morning and wishes you a safe journey home when you leave in the evening.